Through today March 31, 2019 - hurry! 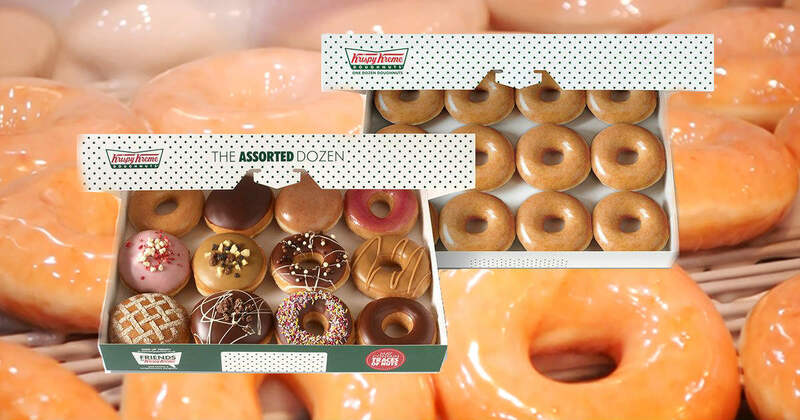 Want to score a Dozen original glazed Krispy Kreme donuts? Sign up for Krispy Kreme rewards - with the app or on the website. You will get a reward offer in your account for a FREE dozen original glazed doughnuts when you buy ANY dozen (assorted or glazed). I took advantage of this offer back when they had it in January. Just give your phone number or scan your reward barcode at checkout Through March 31, 2019 - hurry!